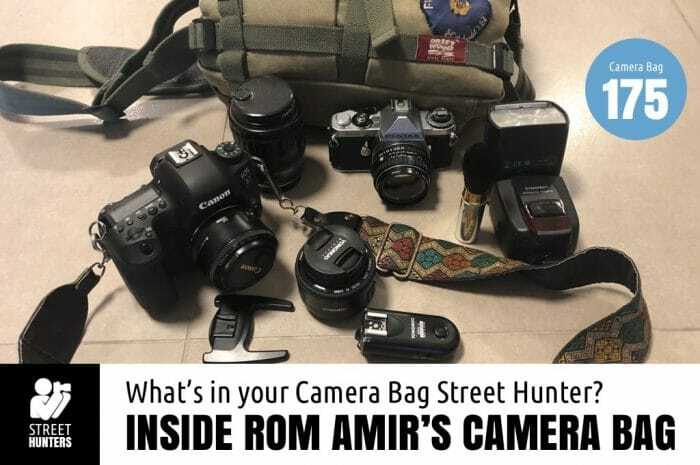 Home Tags Posts tagged with "Rom Amir"
My name is Rom Amir and I’m 38 years old amateur street photographer. I’ve picked up street photographing not a while ago after experiencing all sort of photographing and ever since focus all my photography efforts on the street. I’ve always been attracted to photography and I guess I inherit that from my father who also was an amateur photographer, and I’m still using his old Pentax ME film camera to photograph sometimes. Other then newly purchased Canon 6D camera body I try not to spend too much on gear as I believe it not about the gear… I’m spending my time partly in China and partly in Israel so I get to travel a lot in big cities – Shanghai, Hong-Kong, Singapore etc. which is amazing for street chasing! I am inspired by street photographers such as Bruce Gilden, Allex Libec & Felix Lupa.